There is good news and bad news….My sister in law gave birth to a healthy baby girl this morning. Congratulations and much love to the whole family. Bad news is that the quilt isn’t finished – argh! So when I was selecting some of my fabrics in Watson and Thornton a very kind stranger helped me out with one of my fabric choices. I told her about my project and she commented that I had a lot to do in very little time. I naively thought, ‘ha! I’ve got plenty of time and I’m sure it will not take that long’. I wish I could meet that kind lady again to tell her that she was so right! The cutting and layout phase was relatively quick and I was feeling good about the progress I was making, however the piecing together seems to be taking forever and ever. 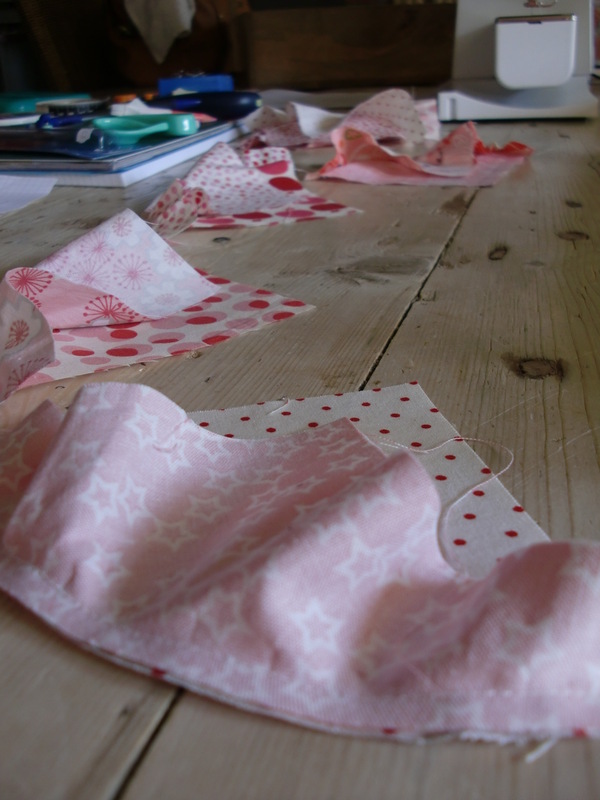 It’s more the pinning of the curved pieces, rather than the actual sewing that is taking the time. 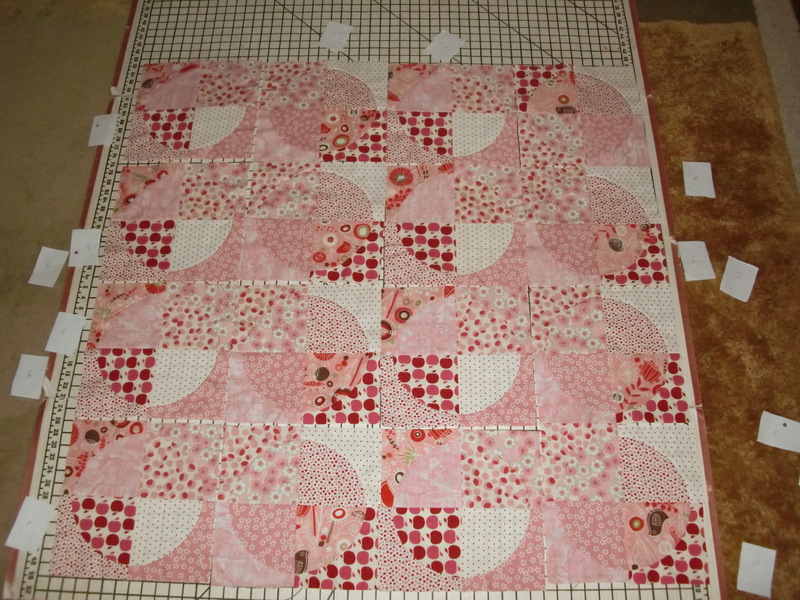 Once all of the blocks were sewn together I changed my mind about the layout and had a little re-arrange. I am sure that to the naked/disinterested eye there is no difference, but it has made me happy! I am loving the preciseness that this project calls for and so far I am pleased with how it is going, if a little slow! Luckily my sister in law isn’t local so even though she gave birth today it will be another week before we see her and the rest of the family – phew!